BOMA participants of Northern Kenya work closely with BOMA Village Mentors to write a business plan and to learn key skills like record keeping, marketing, savings and group dynamics. Upon approval of their business plan, each business group receives a start-up grant. One: Sustainable income is the most promising development strategy for people who live in the world’s poorest and hardest places. Two: Any long-term solution must be embraced and led by locals in order to succeed. 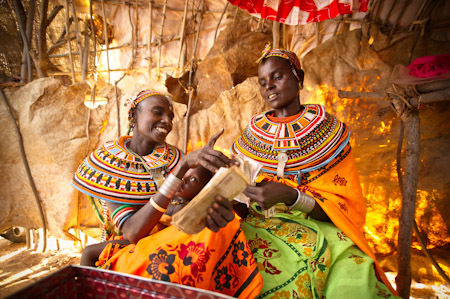 This year marks the 5th year of BOMA’s RURAL ENTREPRENEUR ACCESS PROJECT (REAP) in Nothern Kenya. resulting in 23,000 individuals lifted out of extreme poverty. The results of BOMA programs are staggering. I look forward to telling the more of their story in the coming year.